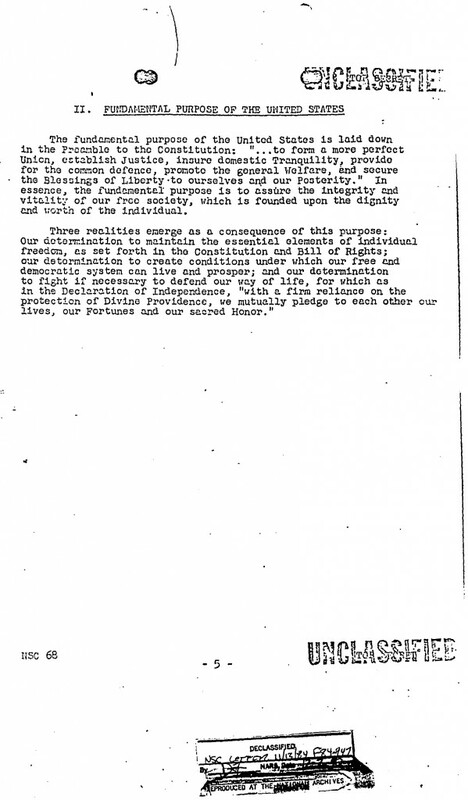 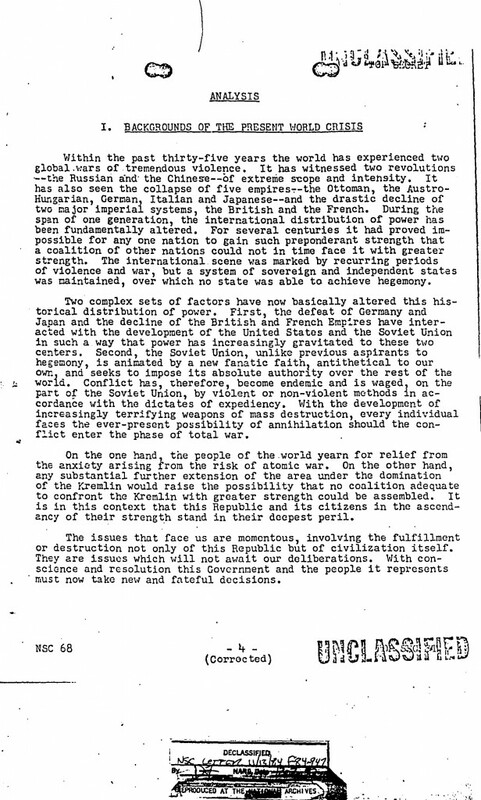 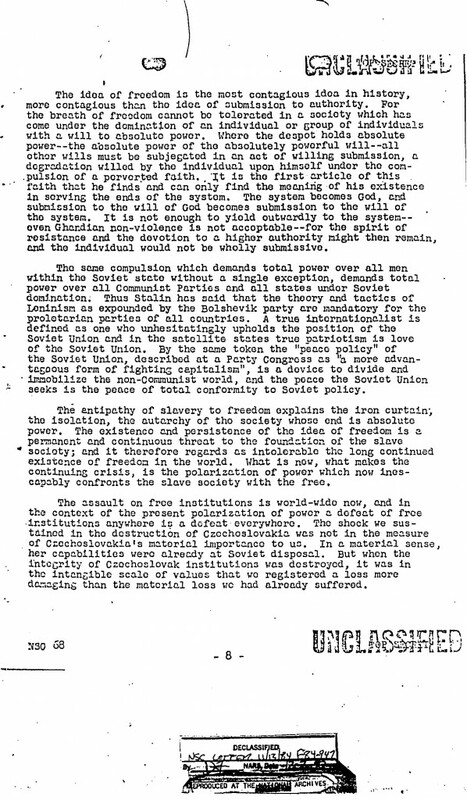 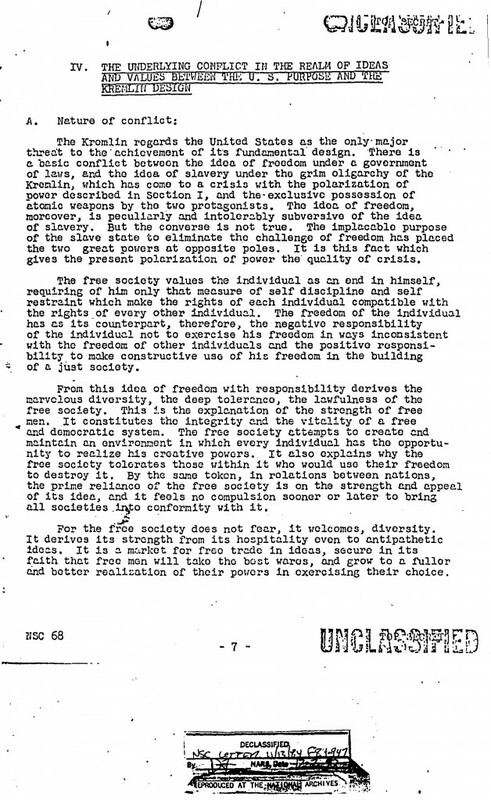 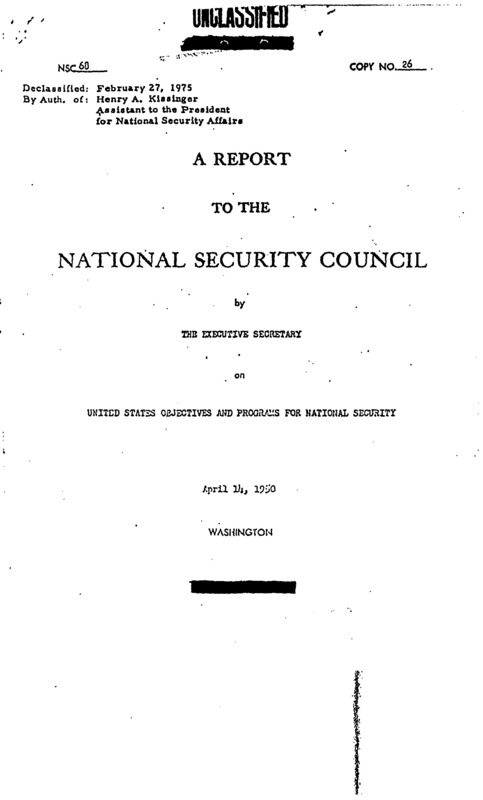 The following report was produced by the National Security Council Study Group headed by Paul Nitze in 1950. NSC-68 is considered to be one of the most significant documents in the history of the U.S. national security apparatus, defining goals, values, and functions of U.S. national security policy throughout the Cold War and beyond. 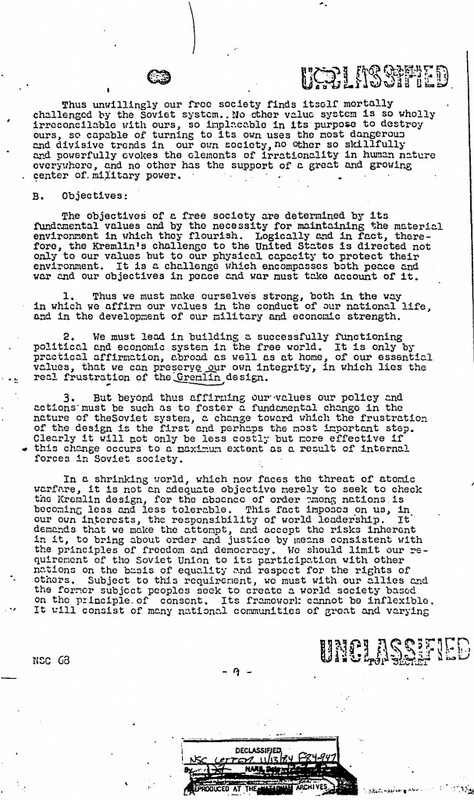 Historian Michael J. Hogan, scholar of U.S. foreign policy and former fellow at the Harry S. Truman Presidential Library, has described the document as the “bible of American national security policy.” This version of the document was obtained from the Woodrow Wilson International Center for Scholars. 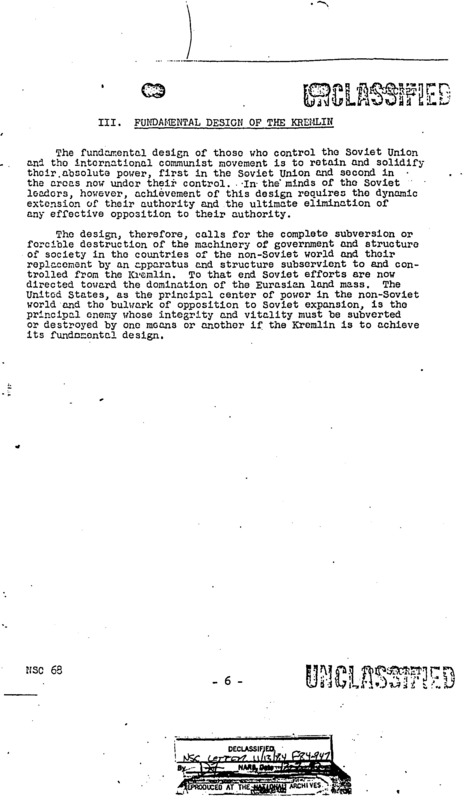 A plain text version of the document is also available via the Federation of American Scientists.